At Carvalho & Roth Orthodontics, we want our patients to be informed about every aspect of their orthodontic treatment. We believe that when we educate our patients, they are more compliant with treatment, leading to shorter treatment time and better results. We’ve compiled our most frequently asked questions to help answer any questions you might have. Of course, if you still have any questions, please contact us and we would be happy to answer them for you! 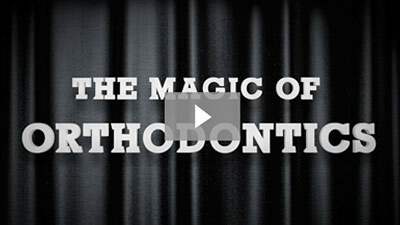 What are the responsibilities of an orthodontist? Orthodontists are oral health care providers who specialize in diagnosing, preventing and treating alignment problems and malocclusions (more commonly known as “bad bites”) of the teeth and surrounding structures of the face and jaw. Orthodontists use specialized instruments such as braces, retainers and other appliances to fix these problems. What are the benefits or orthodontic treatment? Orthodontic treatment benefits your teeth from a functionality standpoint as well as improving the way you look. Your smile is often the first thing someone notices about you and having a healthy smile can do wonders for your self-esteem. Having properly aligned teeth improves the functionality of your mouth and makes it easier to clean and care for. When is the ideal time to begin orthodontic treatment? Orthodontic treatment is beneficial to patients young and old. In fact, one of every five orthodontic patients is an adult. The American Association of Orthodontists (AAO) recommends that children see an orthodontist by the time they are seven years old. This is when the first adult molars begin to erupt, allowing an orthodontist to monitor the growth of a patient’s mouth. The process of installing braces is virtually pain-free. Some patients experience minor discomfort during the first few days, but it quickly subsides as they get used to their new appliances. Over-the-counter pain medications can be used to relieve any discomfort. Treatment time varies case by case, but braces are typically worn between 6-30 months with additional time needed for wearing a retainer. How often will I need to schedule appointments once my braces are on? We recommend scheduling an appointment with your orthodontist every 4-10 weeks during treatment. Are there any restrictions on what I can eat while wearing braces? Yes. In fact, any food should be avoided that may get stuck in your braces including certain raw vegetables, hard candy, caramel, taffy, ice cubes, corn chips, and more. Ask your orthodontist for a full list of foods to avoid. Do I need to visit my regular dentist while undergoing my orthodontic treatment? Yes. In fact, seeing your dentist while wearing braces is extremely important! Keeping your teeth clean and plaque-free can be challenging while wearing braces. A dentist can help you solve these problems with regularly scheduled cleanings. Do I need to wear a retainer when my braces are off? Yes, the retention phase is a crucial part of orthodontic treatment. If you do not wear your retainer, your teeth may relapse to their original, crooked position which would erase all of the hard work you put in while wearing braces. Orthodontic treatment is an investment in your health. While it can carry a big price tag, the cost of living with malocclusions can end up costing a lot in the long run. Financing options and orthodontic insurance can help reduce the out-of-pocket costs. Contact Carvalho & Roth Orthodontics Today! If you have any orthodontic questions that were not addressed in the FAQ section above, please feel free to call us and ask. We have three convenient locations across Massachusetts in Marlborough, Northborough and Newtown Centre. We specialize in everything from traditional braces to Invisalign and everything in-between. To schedule an appointment, please feel free to call the closest location or contact us online. Thanks, and we hope to see you soon!